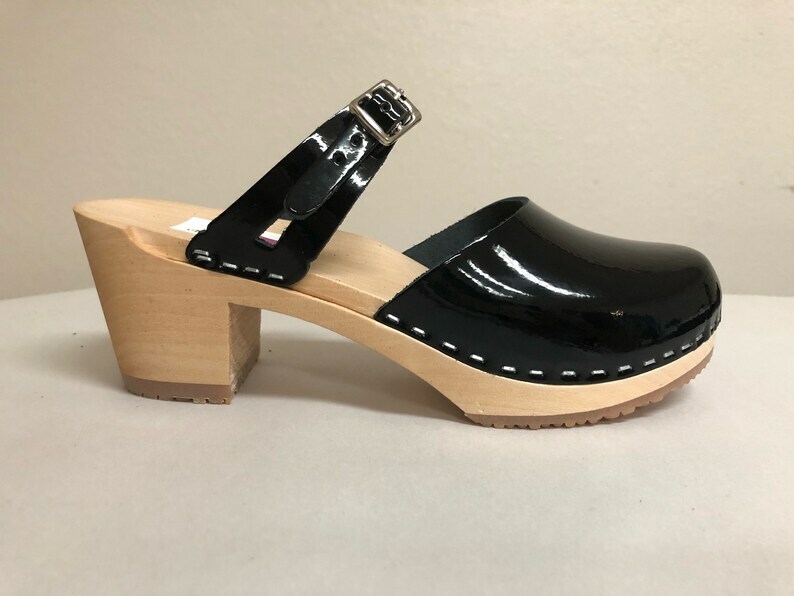 This is a mary jane styled clog in Black patent leather with a Medium natural heel. with silver buckles. This listing is for the Medium heel. But can be made on the low and super high if desired. Please specify if you would like gold or bronze instead of silver buckles.